Video Producer Unni Marie Berg arrived in style at the Love Beach luxury villa on the Bahamian Out Island of Guana Cay. Berg’s vehicle of choice is a 50-year old bicycle with a history unlike any other two-wheeler. 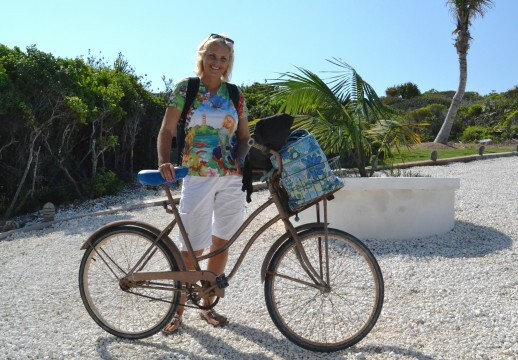 “I purchased this bike from an elderly woman who lived here on the island. She told me that she has nine children and nine boats,” Berg said with a shrug. When traveling to a job assignment, Berg keeps her most precious business cargo stashed in the basket of this bike. As Berg walked into the living area of the Love Beach villa she unfurled her tools of the trade. Berg revealed a treasure trove of photography equipment that she totes to video gigs in a flowered canvas bag. 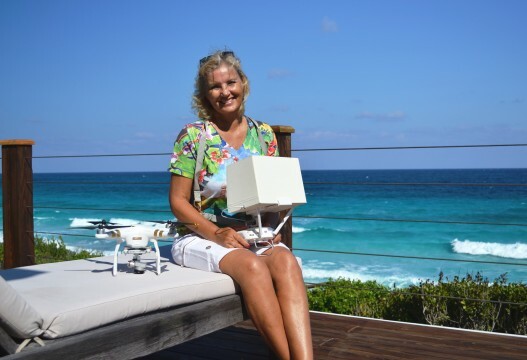 Berg’s real estate video gear included a DJI Phantom Drone, a handheld Osmo camera, and her trusty iPad with a homemade sunscreen to guard against the bright Guana Cay sky. 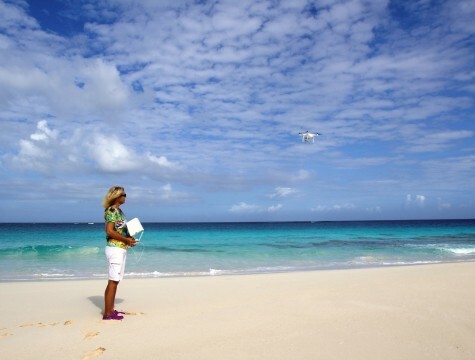 In 2009, Berg traveled 4,700-miles from her home in Oslo, Norway to the 7-mile long Guana Cay in the Bahamas. Berg first became enthralled with the Caribbean in 1985 when she read a magazine article about Diana Ross marrying a Norwegian mountaineer and shipping magnate in the Bahamas. 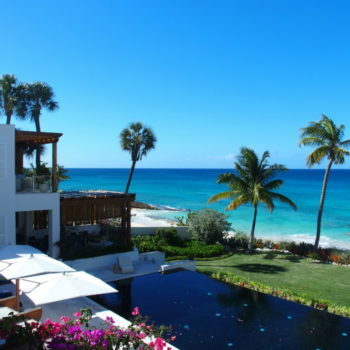 Seven years ago, Berg relocated to tiny Guana Cay, an island with a full time population of about 200 people. 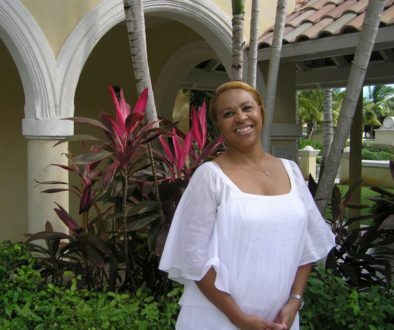 “I originally intended to travel throughout the Caribbean. My initial stop turned out to be Guana Cay. 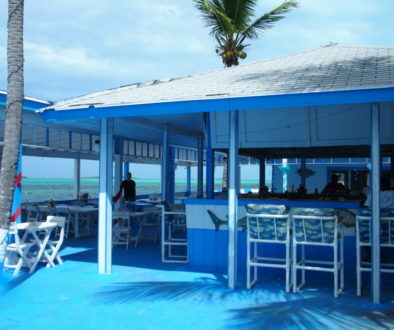 On my first day on the island I visited Nipper’s bar and struck up a conversation with the bartender. 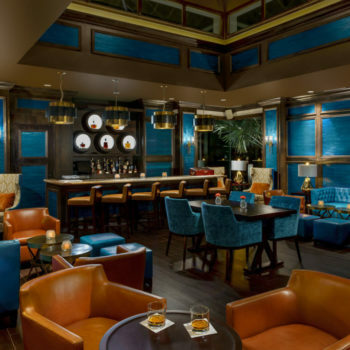 That bartender is now my husband, and I’ve lived on Guana Cay ever since,” Berg said. The 56-year-old Berg’s foray into video began after she helped design the Nipper’s Bar and Grill website. 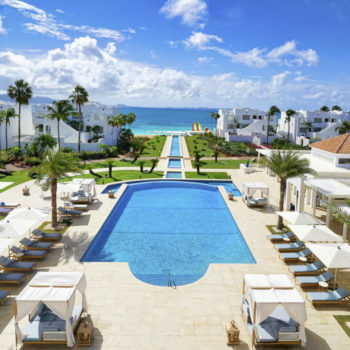 Bill Thompson, a realtor on the neighboring of island of Great Abaco, admired Berg’s website photography and asked her to shoot videos for his real estate clients. Thompson also fronted Berg the money for the professional equipment she uses to this day. As Berg’s video portfolio for Thompson grew, so did her professional reputation. “Another Abaco realtor told me that my work raised the bar for real estate video throughout the Bahamian Out Islands,” Berg said. 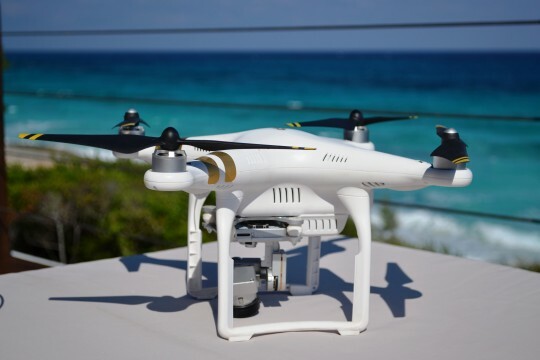 Today, in addition to real estate video with her drone and Osmo camera, Berg boosts Bahamas tourism by shooting aerial photography, underwater photography, and Abaco island history documentaries. In each case, Berg is self taught and has learned new technology on the fly. Where does Berg’s techie aptitude come from? “I always enjoyed creating stuff as a child. Using the latest equipment helps me professionally present a client’s property. 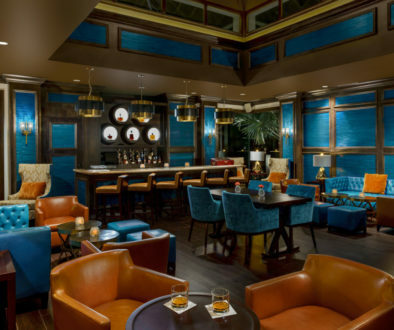 It’s a thrill using video and being creative in a beautiful setting like Guana Cay,” Berg said. Berg’s video and photography career is quite a transition from her previous work as a sewer in the drapery industry back home in Norway. Like many entrepreneurs who look back at the springboard for their new career, Berg simply said “yes” when asked to do photography for her first job creating content for Nipper’s website. Berg’s plunge into real estate video marketing turned out to be well timed. 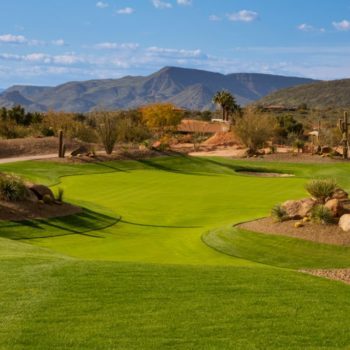 A recent National Association of Realtors survey found that 85 percent of buyers and sellers prefer working with an agent who uses video marketing. 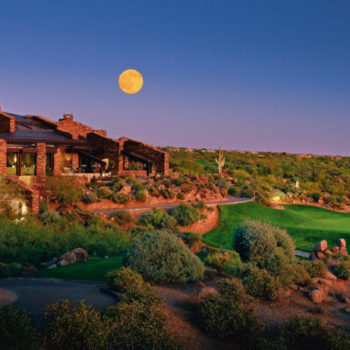 Berg flew into motion at the Love Beach villa, turning on all the lights, arranging cut flowers, setting up a bottle of sparkling wine, and opening sliding glass doors. 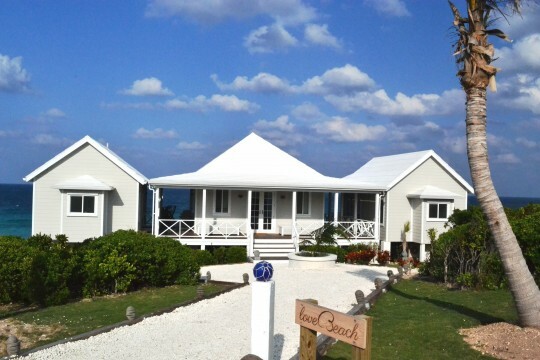 Marketing a home in Guana Cay is about the ocean, the outdoors, and selling a lifestyle. Inside the villa, Berg finds the best angles to show rooms in the most inviting way. Once outdoors, Berg circles the home’s perimeter while shooting cinema quality video with her 3-axis Osmo camera. 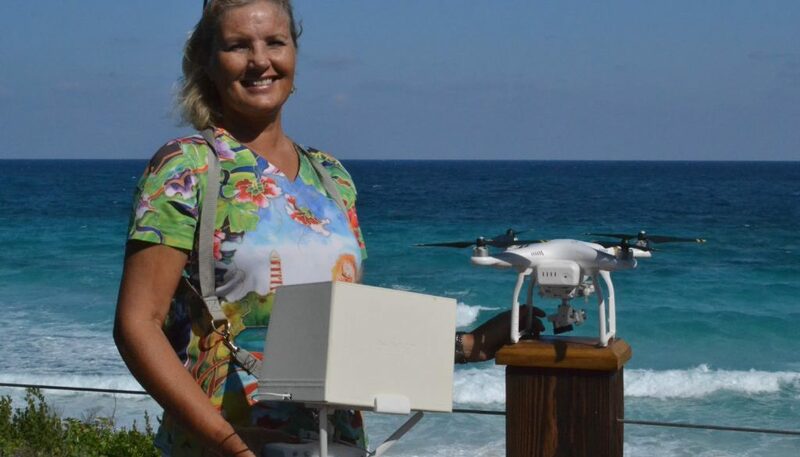 Berg culminates a shoot by flying her drone for aerial shots of the home and the island. The video magic happens when Berg returns to her office for editing. She spends hours getting the right clips of photographs and videos. Berg then adds music and the realtor’s branding. The final step is uploading her video to YouTube, the realtor’s channel, or her own website ww.abacovideo.com. How does Berg explain finding a husband and a new entrepreneurial venture on her first day in Guana Cay? “I firmly believe that the universe was helping me line up what I needed. Then again, I took quite a leap of faith by moving from Norway to this island,” Berg said.